This Modern Trophy Case For Sale Features Same Day Shipping If The Order Is Placed Before 1 p.m. EST! 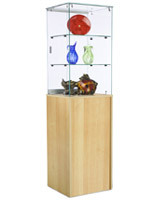 These Showcases Are Just One of Hundreds of Display Cabinets Available For Purchase From Our Online Catalogue! 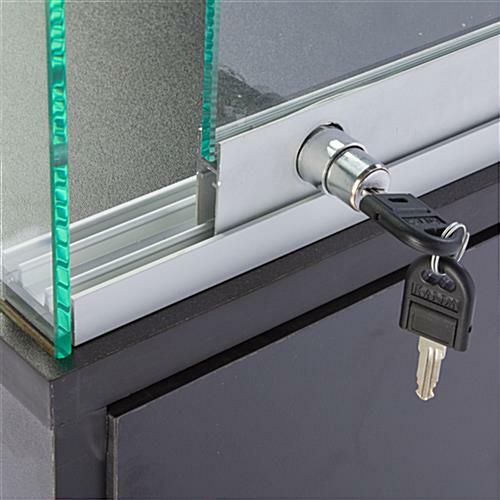 Features 6mm tempered glass for safety purposes. Frameless design allows customers to view the items from all angles. 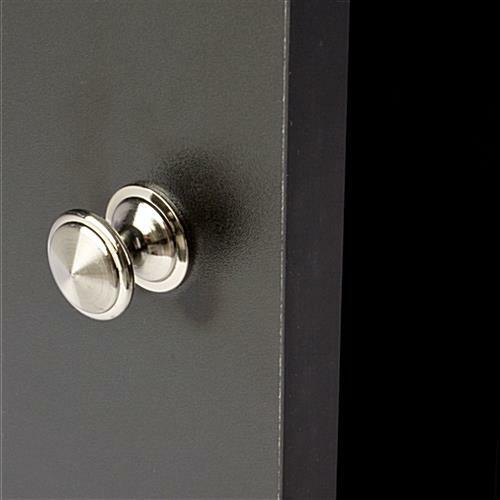 Includes a melamine cabinet base for storing additional items. Unit ships unassembled to save on shipping costs. 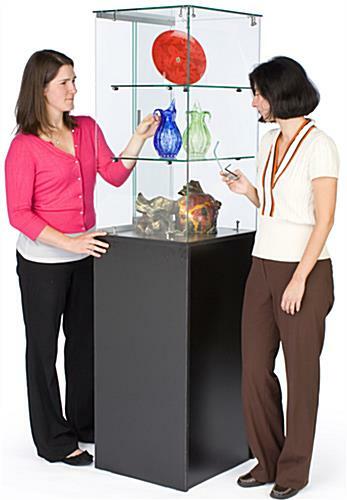 A trophy case, like curio displays and display cabinets, is perfect for use in any business. This tower case can be used in museums, gift shops, and retail stores for displaying any best selling or new release products. 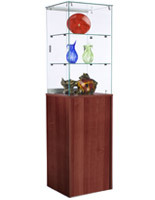 This type of display cabinet is ideal for displaying jewelry, eyewear, or even electronics. The contemporary styling of this trophy case is perfect for drawing customer attention! 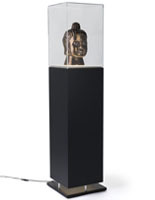 The versatile design of this showcase also allows you to use it at home for displaying valuable collectibles as well. 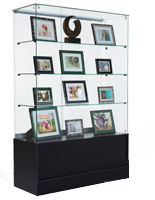 A display case, trophy case provides an ideal way to keep any valuable or expensive items safe and free from dust! This retail showcase is shipped to customers unassembled to save you money on shipping costs. However, detailed instruction sheets are included for your convenience. Complete the look of your retail store by adding this display cabinet to your store configuration today! 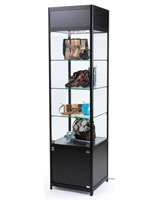 This retail showcase, trophy case features a frameless glass design with a black storage cabinet at the bottom. You can showcase your most valuable items at the top while storing additional items below. 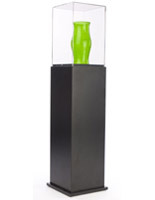 We manufacture this trophy case from thick, tempered glass to prevent breakage. As a result of the frameless construction, items can be viewed from every angle with ease. This display case can be used as part of a configuration to create an entire retail store design or individually, right in the center of your store or museum, showcasing items for all to see. 18.3" x 38.5" x 16.0"